The Deluxe Wheelchair with Elevating Legrest is possibly our most affordable high spec wheelchair, lightweight frame, with flip arm rests that are also height adjustable allowing the user to customise to his/her desire. 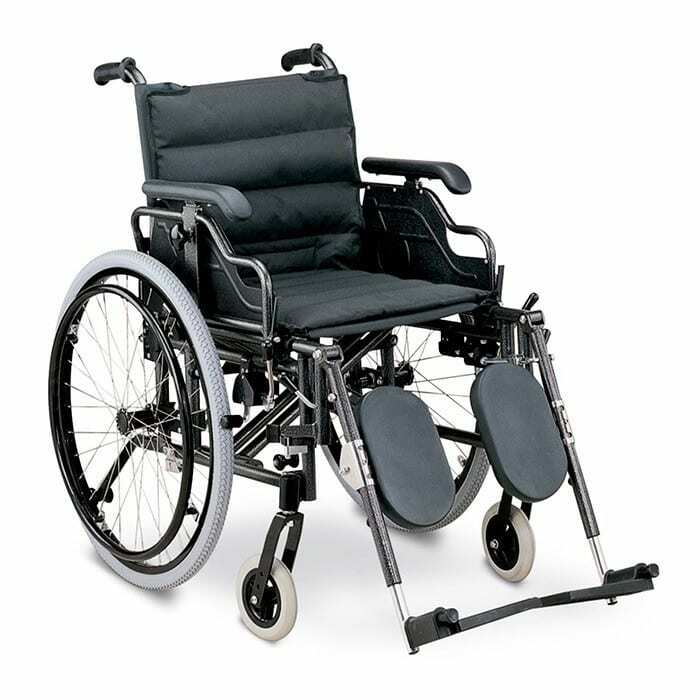 It has pneumatic quick-release wheels which contributes to the compatibility factor and of course elevating leg rests which can swing away and detach. The chair is finished off with anti tip wheels and an extra padded removable cushioning. Flip-up armrests which can be height-adjusted for your convenience and further compatibility with desks.